The Past on a Plate: Sink me! -- The Scarlet Pimpernel, Blenheim Palace and a Treat for "That Sinking Feeling"
Blenheim Palace is awesome and all but, odd's fish m'dear, what does it have to do with The Scarlet Pimpernel? I was hoping you'd ask. The 1982 TV-movie version of The Scarlet Pimpernel, starring Anthony Andrews as Sir Percy and Jane Seymour as Marguerite, is one of my absolute favorite movies ever ever. Get this--the "Paris" scenes were filmed at Blenheim, which really doesn't look anything like Paris because the stone is all wrong. Oh, well. I still love the movie even if the producers didn't bother to find a limestone building to stand in for Paris. 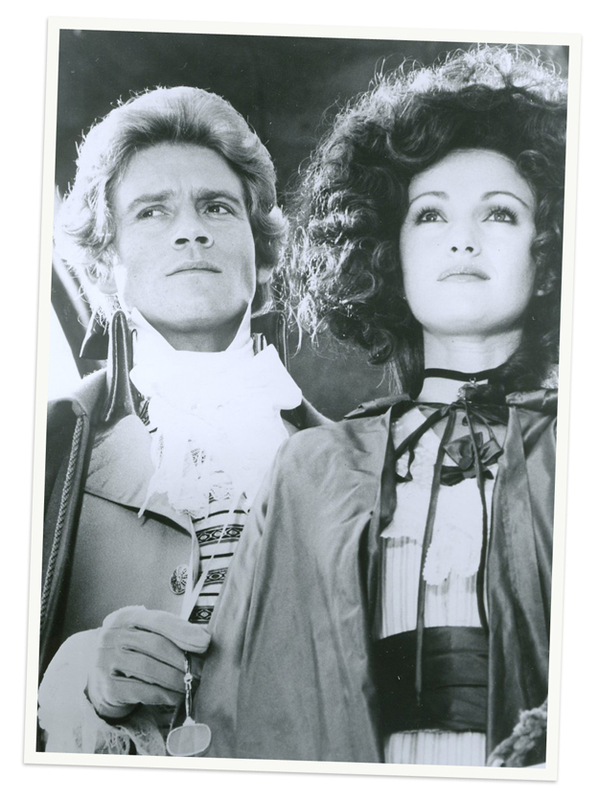 Besides Anthony Andrews and Jane Seymour, the rest of The Scarlet Pimpernel's fabulous cast includes Ian McKellen as revolutionary villain Chauvelin, Julian Fellowes as the Prince Regent and James Villiers as Austrian spy Baron de Batz. Based on the books The Scarlet Pimpernel and Eldorado by Baroness Orczy, this adaptation is actually better than the books (and the books are a lot of fun). As with anything I've ever seen him in, Anthony Andrews absolutely inhabits the role of Sir Percy--it's as though Sir Percy has leapt out of the book with a resounding "Odd's fish!" or "Sink me!" 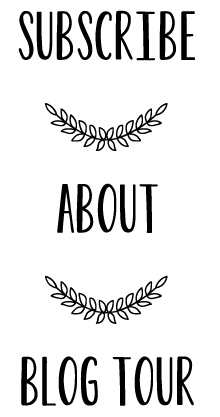 (Sir Percy goes around saying lots of ridiculous things while he's pretending to be an aristocratic idiot. The truth is that he's the brave and noble Scarlet Pimpernel who goes around rescuing French aristocrats from the guillotine.) There's adventure, romance, swashbuckling and fun to be had all around. Everyone I've introduced this movie to absolutely loves it. Paul only agreed to watch it because he thinks Ian McKellen is "a badass" but he ended up really liking it. My mom and I rented the VHS from Blockbuster many years ago (having seen the stage play years before that) and went on to rent it over and over while we waited for it to finally be released on DVD. The Scarlet Pimpernel never gets old! Go put it on your Netflix queue now. You can thank me later. I have to tell you that originally I was going to do a recipe for some pan-fried quail, because, I ask you, what's more early-modern Europe than eating teeny little birds? It's not that the quail were a disaster, they weren't even bad, just disappointing. You know the feeling when you've done all this work and it's just all right? Yeah. It happens to food bloggers, too. So, I'm going to share a recipe that doesn't have a darn thing to do with The Scarlet Pimpernel or Blenheim Palace except that they would make an excellent treat for a viewing (of either--got to keep your energy up). Flapjacks are chewy with a delicious butterscotch/caramel taste. They have lots of fiber, too, if you're into that sort of thing. Preheat oven to 300˚ Fahrenheit. Grease an 8"-square cake tin with butter and set aside. In a large pan, melt together the butter, sugar and syrup over low heat and stir to combine. When butter is completely melted, remove the pan from the heat and stir in the oats. Press the mixture into the prepared cake tin, trying to get it as even as possible. Bake 35-45 minutes until lightly browned and just set. Cool on a wire rack in the tin for 10 minutes then score with a knife (16 servings). Continue cooling flapjacks in tin until fully cooled. Love this! And so glad that you're sharing your photos from your trip! I've never seen The Scarlet Pimpernel. I will do as told and put it in my queue! There will be more vacation photos, never fear. ;-) Let me know how you like the movie! I'm SO jealous of your trip to England--those photos are gorgeous! I had a bit of a crush on Anthony Andrews as a young girl, but I've never seen The Scarlet Pimpernel. Looks like I'll have to add it to my queue! Lauren, I cannot BELIEVE that you were here in England and I didn't get to meet you! 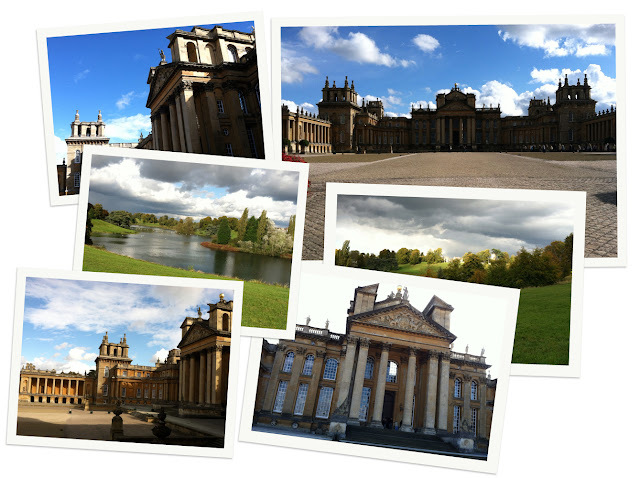 I would have traveled to Blenheim Palace to have a cup of tea and a flapjack with you! In fact I would have met you anywhere, anytime. You are very naughty and I demand that next time you come we fix it up. Sink me and Odd's fish! Next time I will send you an e-mail before I leave home. Not having internet/phone really sucked! I hope we'll be able to spend time in England in 2013. What a fabulous trip, Lauren! Love seeing your photos and I'm delighted you could spend time in England. 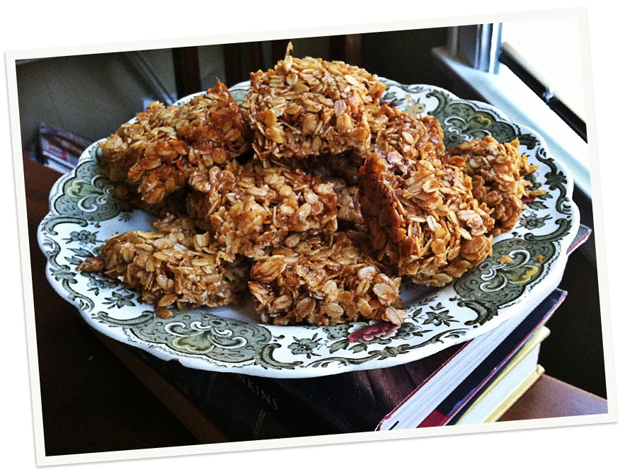 Now, these flapjacks are certainly perfect for lots of movie viewing - can't wait to try them! Sounds like a fabulous trip. Jane Seymour has (or had) a castle in England. Maybe one for the list next time :-) Those flapjacks are perfect for watching anything.